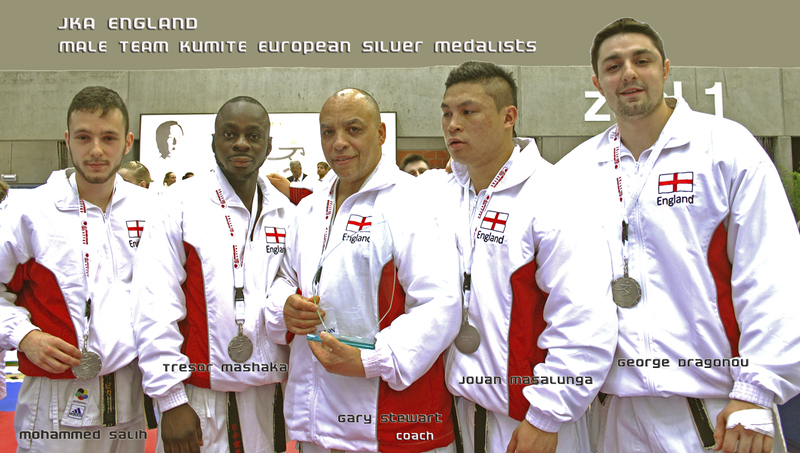 Westminster Students – Team Kumite: Silver Medalists! 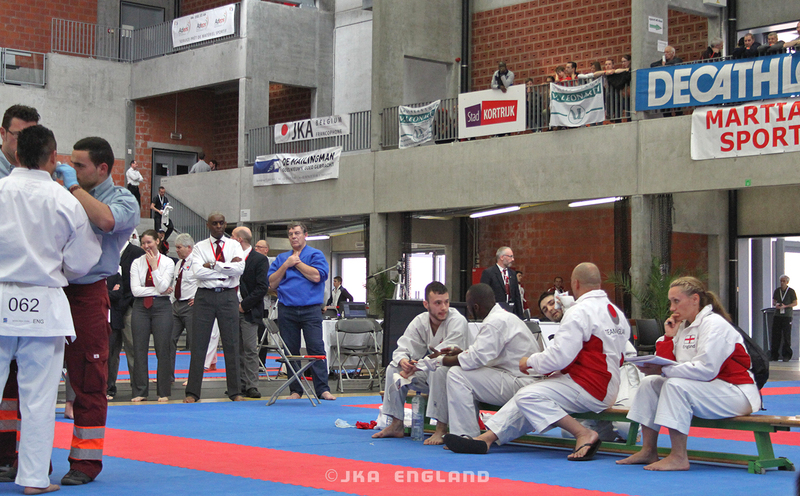 took part in the European Championships which were held in Belgium this April. 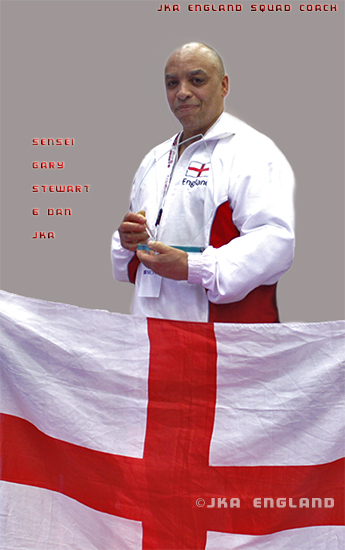 Our Chief Instructor, Sensei Gary Stewart 6th Dan, is also the Head Coach to the England Squad. George fought extremely well throughout the day in both individual and team events. 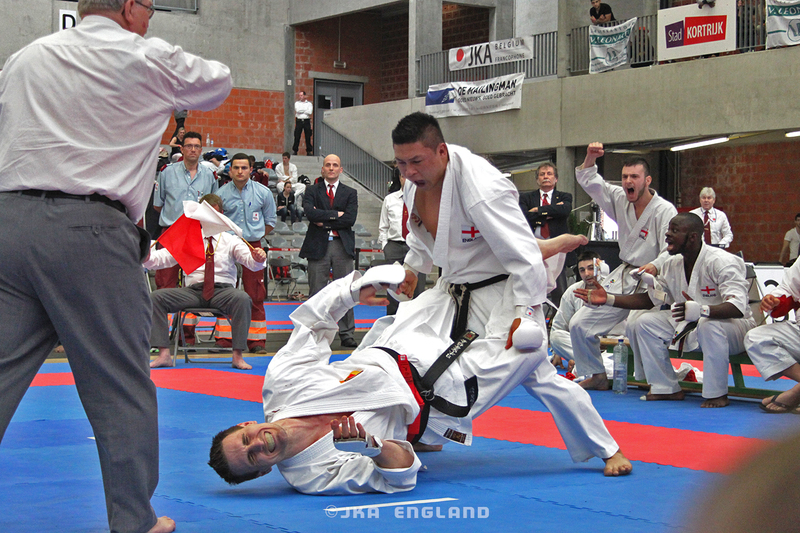 Due to severe injuries, George was unable to compete in the Team Kumite Semi-Finals, this gave Westminster students the opportunity to fight together for England. The England Team were rivalled by a very experienced German Team. In the previous round, the Germans beat the Russians, who were the reigning Champions. Jovan Masalunga, Mohammed Salhi, Harry Theron and Tresor Mashaka were four of the five senior male competitors who took part in the European Championships, all four are Westminster Club members. George Draganov was the fifth male; although he is a member of the Budakwai Club, he regularly trains at Westminster Club.Tresor fought first, and the fight ended in a draw. Mohammed stepped up next, and within 10 seconds he had scored with an Ippon, a well timed perfectly and executed Jodan Mawashi- Geri. Finally, it was down to Jovan to win and for the England Team to be in the final.Jovan’s fight finished in a draw and we were through to the finals where we would face the host Belgian Team. The England ladies Team also made it to the finals and were to face Germany.We were having a good day. 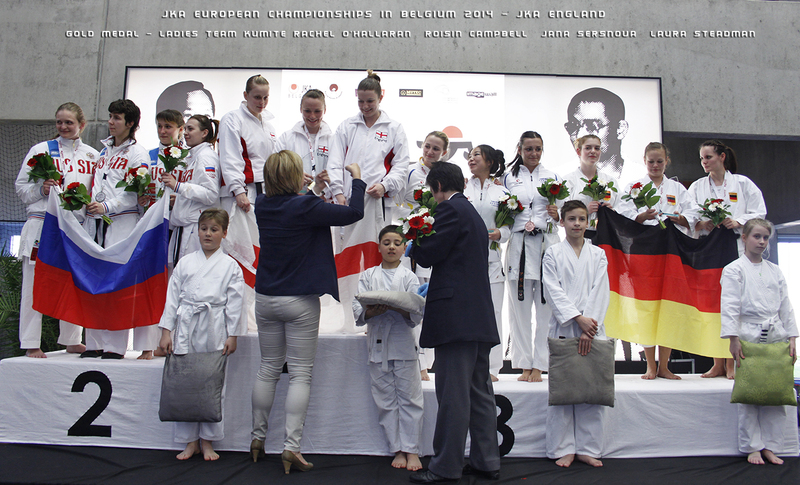 Roisin Campbell was in all four finals, Individual Kata/Kumite and Team Kata/Kumite. 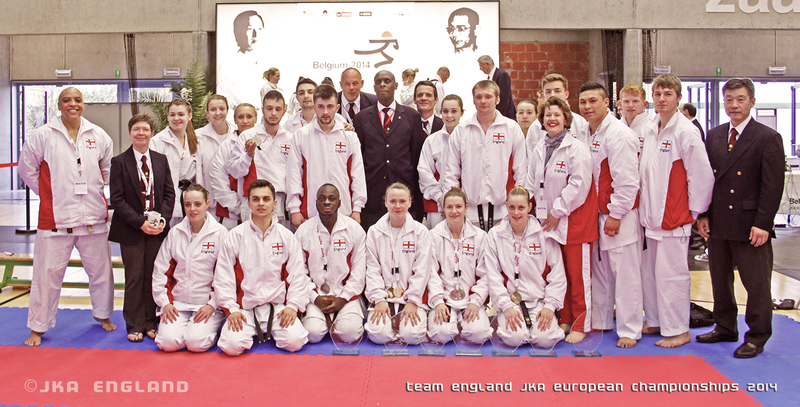 Jason Fox was in the final of the Cadets Kata and Jana Sersanova was also through to the ladies Kata final. 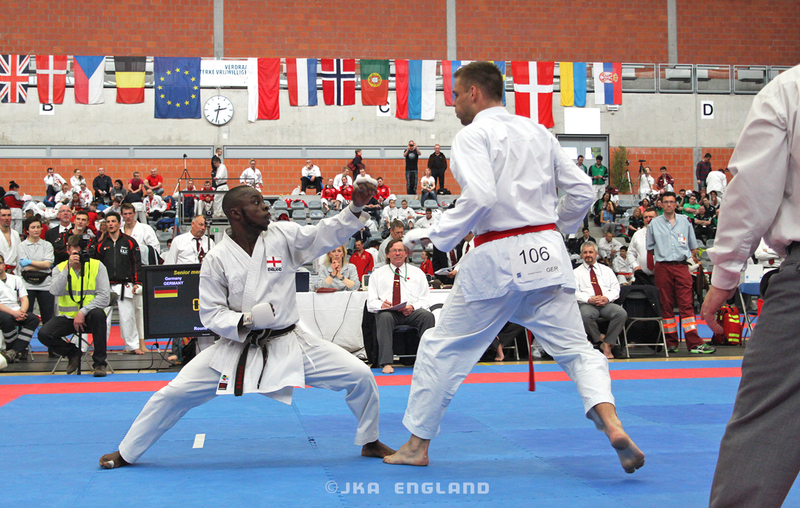 The men’s final, between the three Westminster students and Belgians, was a close and very tough encounter.Tresor was up first, against the reigning individual Kumite Champion. Belgium scored first but were caught out by a great Gyaku Zuki from Tresor. However, the Belgian’s experience proved to be advantageous in the end as he scored again, and the fight finished in their favour. the cagey fight between Mohammed and his competitor ended in a draw. Although Mohammed had a great shout for a Chudan Mawashi Geri in the dying seconds, it was not given! 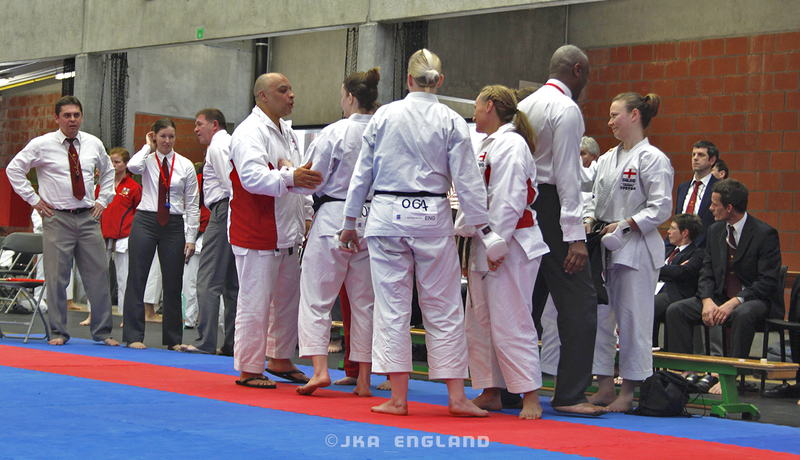 all we needed at that point was a win to draw or an Ippon to be Champions. Jovan was much more the aggressor during the fight, he put the Belgian down twice, but couldn’t finish him off and the result was a draw. Consequently, we were narrowly beaten by the host team, but England and Westminster competitors can hold their heads up high. The ladies did beat the Germans and retained the title they had previously won against the Russians last year. 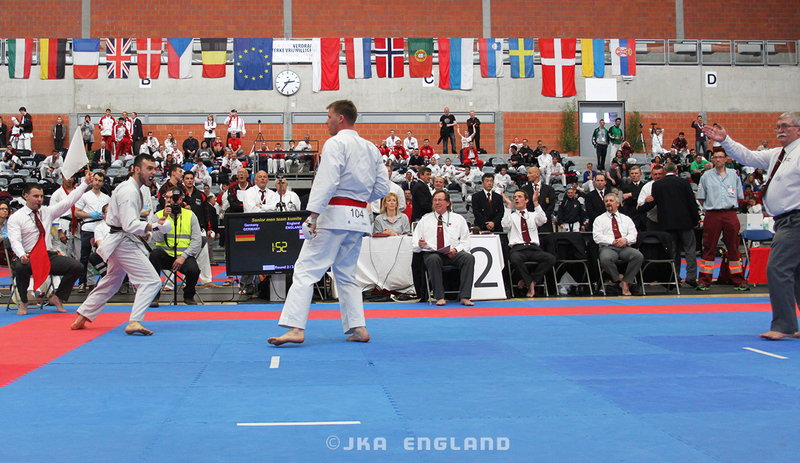 Westminster Karate Club played a huge part in this year’s Championships. 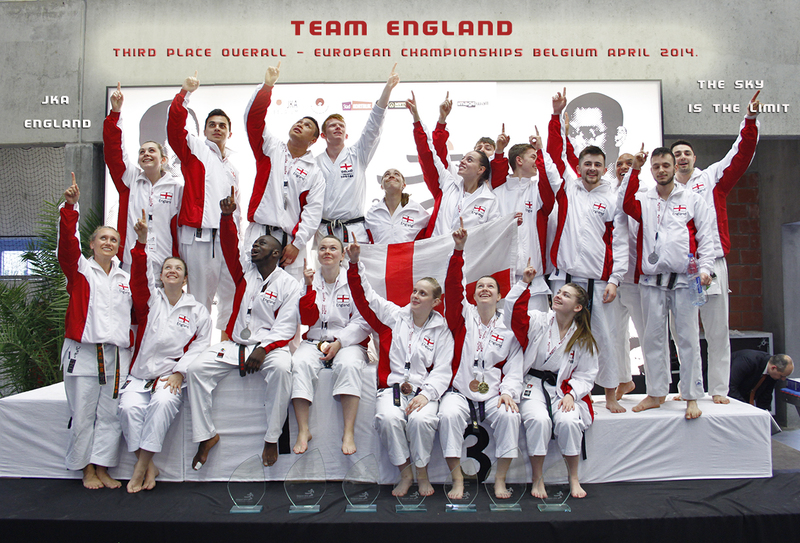 England finished 3rd in the overall medal table, which is their best result to date. The World Championships is to be held this October in Tokyo, Japan. We are hoping our Westminster students have an auspicious Championships there; we are sure they will. 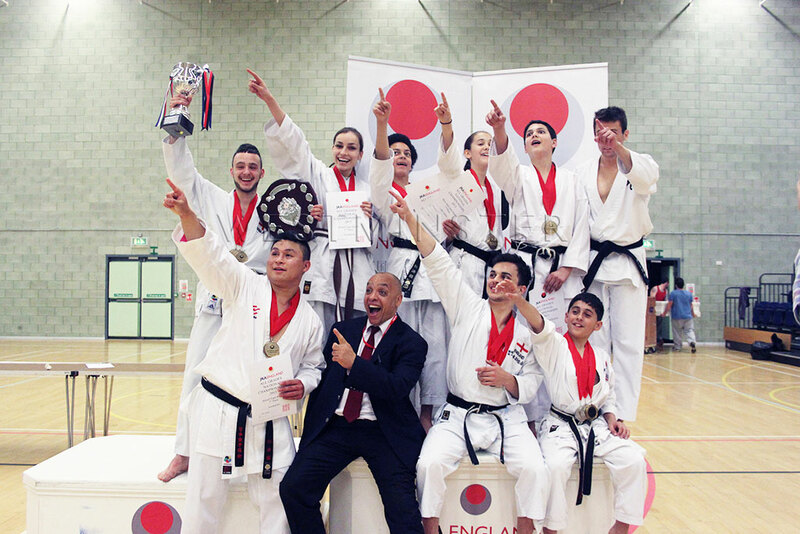 This recent achievements rank the club as one of the most successful karate clubs in England. The successful performance of the Westminster Shotokan Karate Club team was the culmination of a long year of hard training. Congratulations to all students from Westminster Shotokan Karate Club that participate in the last JKA National Championships!!! You all performed fantastically. Well done! Sensei Gary Stewart founded his first Dojo in 1988. For the past 18 years,Westminster Shotokan Karate Club has been based at St Andrew’s Club in central London. Westminster SKC is very well established shotokan karate club and its outstanding reputation is now stronger than ever. The Westminster SKC in central London club is celebrating its 25th anniversary this year.